Actor Interviews, Crew Interviews, Depp, DH Film, Fantastic Beasts, Fantastic Beasts Movie, Farrell, Film Images, Filmmaker Interviews, Films, Harry Potter and the Deathly Hallows, Heyman, Heyman Interviews, Interviews, J.K. Rowling, JKR Interviews, JKRowling.com, Movies, News, Pottermore, Producers, SetReports, Video Galleries, Videos, Warner Bros.
Percival Graves – The man that 50 Shades forgot. One of the greater mysteries to come from Fantastic Beasts and Where to Find Them concerns the mysterious man of MACUSA – Percival Graves. Upon our first viewing of the character, we learn that Graves is a symbol of authority, a man in high places with his fingers in a lot of pies. He is well respected in MACUSA as the Director of Magical Security, trusted by Seraphina Picquery who sees him as her ‘right hand man’, and (initially) admired by Credence Barebone as a saviour who will make the troubled boy a wizarding legend. It would seem that Percival has charm, form and charisma like no other to help him get by. Is there a real Percival Graves? Let’s begin by keeping it in the family. When trying to validate a person’s existence, the best way to begin is by doing a bit of historical backtracking, in order to find out the validity of their heritage. This man is crucial in our investigation, in terms of finding out whether Percival truly exists. Gondoulphus Graves was a wizard born in the 17th century, living roughly three centuries prior to his suspected descendant. Gondulphus made a name for himself as one of the original twelve Aurors of MACUSA, a group set up by the newly formed American wizarding government to serve and protect wizardkind, under the leadership of Abraham Potter. Now, let’s compare him to the ‘concept’ of Percival Graves. From what we find out in Fantastic Beasts, Percival is the Director of Magical Security at MACUSA, but he is also the Head of the Department of Magical Law Enforcement. The DMLE is the evolved and strengthened faction of the original MACUSA dozen, of whom Gondulphus Graves was a member, albeit not the leader. In short, both Percival and Gondulphus shared the same profession in their respective times, so much so it would seem that if Percival was real, he would have followed in his ancestor’s footsteps. It was almost like being an Auror was an upheld tradition of the Graves family, kind of like how the son of a Muggle police officer would himself traditionally become a police officer in the Muggle world. Influential in politics eh? Wouldn’t you say that sounded EXACTLY like she intended to reference Percival at that moment? Especially seeing as he is the only other ‘Graves’ we know, even if the Percival we saw on-screen was secretly Gellert Grindelwald. It would surely be too much of a coincidence for Jo to write about a Graves ancestor if it was never intended for Percival Graves himself to exist. I mean, why bother giving Gondulphus such a fleshed out characterisation otherwise? Why not just let the specific portion of the article be about Abraham Potter, the LEADER of the Aurors? Now before moving on, let’s just track back to Grindelwald for a moment, as we bring his involvement with this piece of evidence into the frame a little more. The dark wizard’s arrival in America will be explored a little later, but for now let’s just say that at the time we joined the story of Fantastic Beasts and Where to Find Them, Grindelwald had not been hiding as Percival Graves for very long; a few weeks at the latest. However, from the very first moment he stepped foot on U.S. soil, Grindelwald would have needed to have been in his disguise. After all, he couldn’t have just casually strolled past security as himself, since he was the most wanted wizard in the world by 1926. The fact that Grindelwald needed to have been hidden as Graves from the start, highlights that he must have known about the ‘Graves’ name prior to his arrival. As we know with Jo Rowling, there are NO coincidences. Grindelwald was too busy to spend months planning out his disguise, as he was in the middle of conducting ‘The Greater Good’ attacks on Muggles in Europe, as well as also searching for Obscurials! As we saw at the very beginning of Fantastic Beasts, Grindelwald’s campaign for wizarding supremacy was in full swing by 1926, as the dark wizard seemingly managed to tear his way through Europe with a series of brutal Muggle murders prior to our introduction to the story. On top of that, the Durmstrang dropout was also too preoccupied with searching for Obscurial children, whose power he wanted to harness for his army. The attacks and his search took months, possibly even years to carry out, as Grindelwald is 43-years-old by the time we meet him in the flesh in 1926, which is a long way away from when he and Albus Dumbledore were friends. His plans also took him across the globe, meaning that he was never in one fixed place at any given time. Ask yourself, could a man that busy really find the time to take out a textbook on North American wizarding history, search through it for MACUSA and then look for a good family name to use? Unless he was Rain Man, we would say most likely not. The only way that Grindelwald could have learned about the ‘Graves’ name would have been if he had at some point met a member of the family to model his disguise on. Keep that thought in mind for later. Grindelwald would need a quick disguise, someone he could just directly impersonate without hassle – the real Percival Graves perhaps? It is safe to say that MACUSA have a serious fetish for forms. 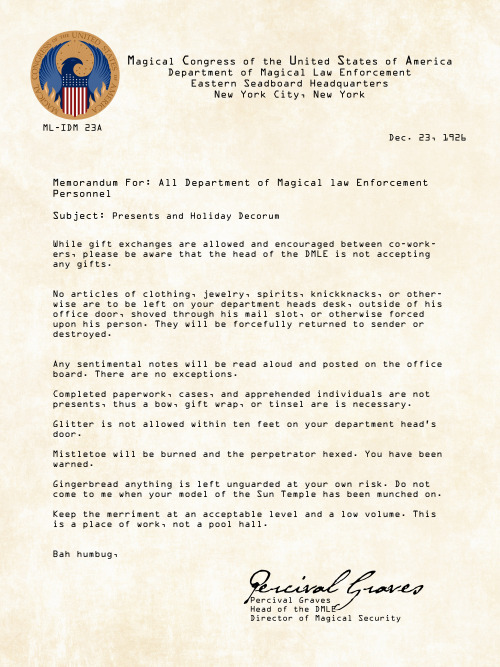 As we see throughout American wizarding history (especially in the early 20th Century), one thing MACUSA prioritises above all is having their community monitored via official records, identity cards, wand permits, criminal records etc. These pieces of documentation also stretch to wizards visiting from other countries, who are required to apply for a wand permit prior to their arrival. Keeping that in mind, let’s take a gander into things from Grindelwald’s perspective. The laws on wand permits (drafted up in the 19th Century) would mean that the wizarding criminal would need to have taken on the persona of a real wizard who already carried an official wand permit. Grindelwald could not have made an application using Percival Graves as a non-existent alias, as MACUSA would do a background vetting check on each permit that had been submitted, and they would then see that there was never a wizard born under the name ‘Percival Graves’. It also goes without saying that Grindelwald could not have put his real identity down for a permit, unless he was dumber than a mountain troll. So the only option left for him would be to use the wand permit and identity of a real wizard. Nope. You’d be deluded to believe that. Why? Because he was working for MACUSA of all places! Unlike Newt Scamander, who quietly and inconspicuously slipped into America to return his Thunderbird to Arizona, Gellert Grindelwald decided to go one better and infiltrate the very heart of the American wizarding community. 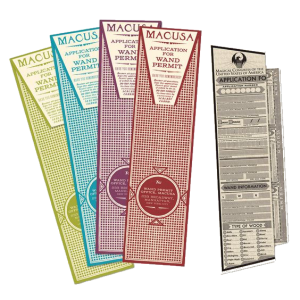 Employees working for MACUSA are not only required to have a wand permit like every other wizard, it is ENFORCED that they do so as they are meant to be setting an example to the rest of wizarding America. 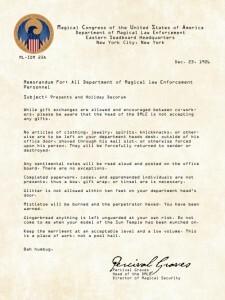 Whether he liked it or not, Gellert would have needed to have acquired a LEGITIMATE permit from a REAL man working for MACUSA. It would have been his only option if he wanted to maintain his disguise. As if that wasn’t enough on the security checks, MACUSA employees are also asked to fill out an identity card, which is designed to authenticate each individual worker’s identity. Again, moving back to Grindelwald, as is thecase with the wand permit, there is no way on earth that he could have used Percival Graves as a fake alias to secure an ID card, because again MACUSA would have done background checks to find out whether his story checked out. 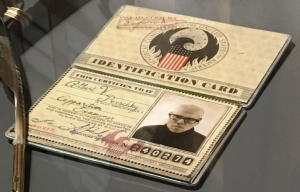 One particular factor on the ID card that would have scuppered Grindelwald’s use of a fake identity would have been the fact that each applicant has to stamp a set of their own fingerprints on their card. Why is this significant? It all comes down to Grindelwald’s method of disguise. Instead of using a method of full-body transformation (such as Polyjuice Potion), Grindelwald instead opted to use human transfiguration to take on the form of Percival Graves. 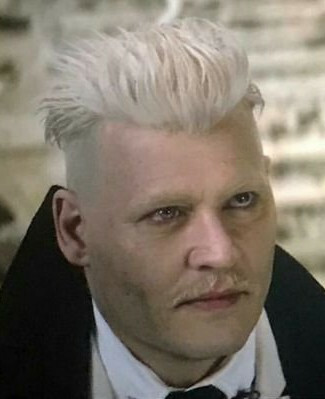 The usage of Transfiguration meant that Grindelwald only needed to change certain necessary characteristics of his appearance, such as facial features. One thing that he most likely wouldn’t have considered necessary to change would have been his fingerprints. For obvious reasons, Grindelwald couldn’t have used his own prints to stamp the card either. Whether or not the dark wizard COULD have changed his prints at all via Transfiguration is unknown in the canon lore, but as fingerprints are generically seen as the one body part that is completely unique to each individual, it is possible that they may be exempt from the ability to change. After all, it would seem to be quite the plot hole if wizards could simply change their fingerprints at will to avoid being caught. Piecing all of that together, we find that if Grindelwald wanted to fill out his MACUSA ID card, he’d have needed a REAL set of prints from the REAL Percival Graves. In summary of this particular section, it only makes sense that Grindelwald would have carried out the even simpler task of taking a wand permit and MACUSA ID from a real Wizard before journeying to the US. It’s less hassle, less complicated and simply more convenient for him. How did he get hold of the documents though? Stay tuned as all will become clear later! With great power comes great theory. 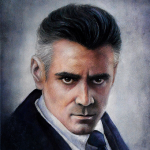 As we saw at be start of the blog, Percival Graves was certainly a man of influence and power in the wizarding community, at least he would have been if he was real. His job roles at MACUSA saw him rise to a very impressive second in command of the organisation. In fact, they saw him become President Seraphina Picquery’s ‘right-hand man’, someone she could rely on and turn to in her hour of need. But hold up…wouldn’t all of this have taken years to achieve? In almost every job in the world, there is always a career ladder for one to climb. When you join an organisation, you start at the bottom and have to work your way to the top. If anyone reading this blog has a job themselves, they’ll understand this point entirely. If Graves really was just a disguise of Grindelwald, then how in the name of Merlin’s crooked wand could the dark wizard have climbed the career ladder in such a short period of time? And even if the job position was up for grabs on its own, why would they give it to him out of the blue instead of someone they already knew and trusted in MACUSA? The short answer is that…well… he couldn’t have climbed the ladder so quickly, and MACUSA wouldn’t just give him the job on a whim. Although Grindelwald was a renowned charmer, his gift of the gab would not have blagged him straight to the top. MACUSA have for centuries been paranoid about security and safety. Even though they have ironically had more breaches than even the Ministry of Magic, MACUSA adhere to the strictest of rules and regulations AT ALL TIMES. 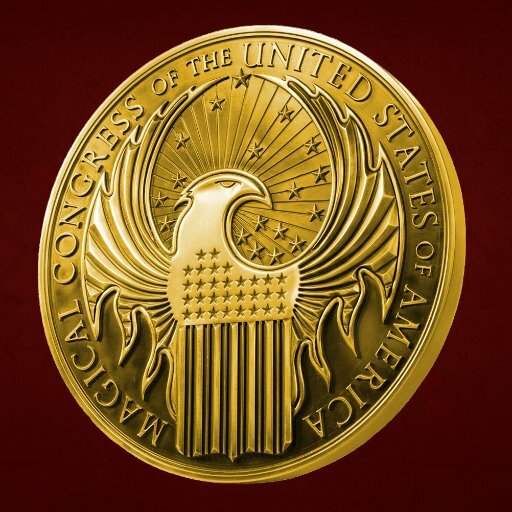 To give them some credit, I highly doubt that the Magical Congress would be so stupid to not only allow a newcomer to join their ranks without any form of background check, but also give them the second most powerful job in wizarding America? C’mon! 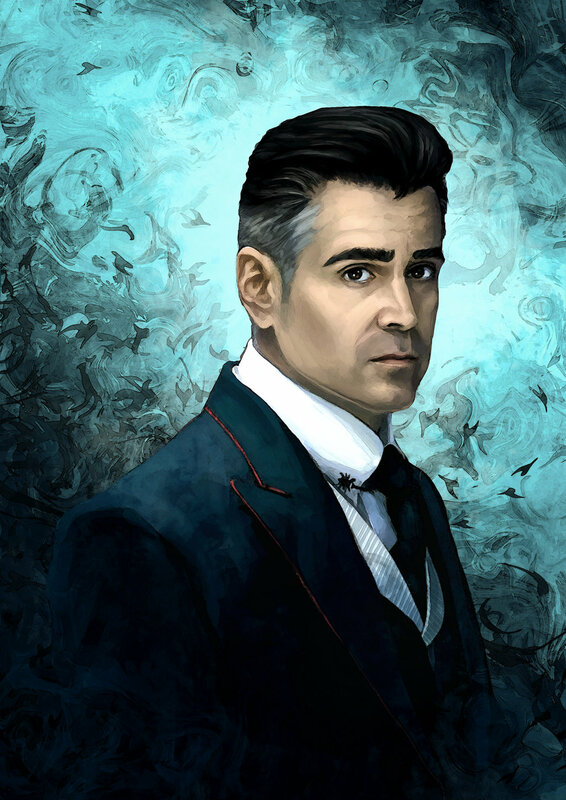 Even Seraphina Picquery (the woman who dishes out executions and Oblivations as if they were chocolate frogs) indisputably trusted Percival Graves above all others. It would seem VERY unrealistic and out of character for her to trust a man who had just joined MACUSA on the spot, without them both having had some sort of long-lasting friendship that had earned him her trust. Grindelwald would have been way too busy with his attacks in Europe and his search for the Obscurials to worry about his career prospects. 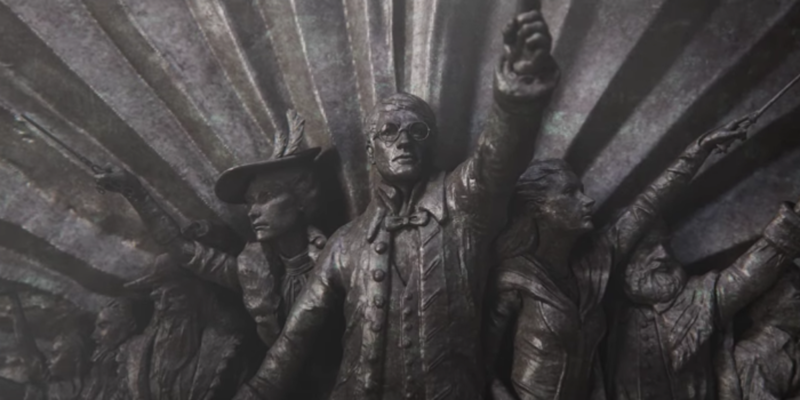 The only logical way that Grindelgraves could have achieved his position at MACUSA would have been if he wasn’t the one to achieve it, but rather there was a real Graves who had done so in the years prior to Grindelwald’s impersonation. Time to get back to reality. Sometimes, when one theorises upon a topic within a series, it can be necessary to move out of the realm of the story itself in order to find our answers. On 12th September 2016, Leaky was given the honour of attending a special tour of the sets of Fantastic Beasts at Leavesden Studios. During our time there, we were given the opportunity to interview some of the film’s actors, one of which was Colin Farrell. Farrell, who plays Percival Graves himself on-screen, gave an interview about his character, prior to everyone’s knowledge that he was secretly playing a man who was playing another man. Not wanting to give the game away, Farrell was forced to talk not about Grindelwald as Graves, but instead the supposed ‘real’ Percival Graves, in order to keep the illusion that the man we see in the film was Percival himself. During the interview, the actor decided to turn our attention towards events prior to the first film, namely the mystery surrounding the Grindelwald attacks, or more specifically what role Percival Graves played in stopping them. Farrell explained to us that before we entered into the events of the movie, Gellert Grindelwald was already the wizarding world’s most wanted man, so much so that every government in the wizarding world had been looking for him. Two of these Governments were none other than MACUSA and the British Ministry of Magic, both of whom had joined forces in the global manhunt. In an attempt to bring the dark wizard to justice, the two governments each commissioned a crack team of Aurors, with each group consisting of the most skilled witches and wizards at their disposal. Leading the two teams were their respective heads of the Department of Magical Law Enforcement: Percival Graves of MACUSA and Theseus Scamander of The Ministry of Magic. Theseus was a well known Auror, a future hero of The Second World War and of course the older brother of Newt Scamander. He has upset a few of the big wheels and he’s gone underground. I have been chosen to go away and ferret him out. ___te the chance to be picked, actually, because the whole ___ment want to be on this case and it’s taken some ___ hard work to reach this status. ___ wishing you well – wherever you are. ___ whatever beastly quests you are undertaking! Initially, one could actually believe this to be a very good point. It would make sense for Grindelwald to set up some sort of inside correspondence, especially given the fact that he needed to keep one step ahead of the game. However, we need to bring ourselves back to one particular point that we have made several times over the course of this blog. It also takes a while to come to the rebuttal for the above question, so bare with us as we go along. Graves was head of the DMLE when he and Scamander corresponded. This suggests that if it was Grindelwald writing the letters, he’d have to have been in America for a while, acting as Graves to get the job at MACUSA, thus making all of his letters official documents in order for Theseus to be content with their authenticity. We can safely assume that Owls were used in the transport of the two wizards’ postal exchange, but if you remember rightly from the Harry Potter series, W.O.M.B.A.T examinations at Hogwarts once claimed that the international exchange of Owl Post may well be illegal without official authorisation from a Wizarding government. The only way Grindelwald could have gained official clearance to correspond across the globe would be if he had gotten the job at MACUSA. Without it, his letters would be deemed illegal and he could well have been traced. And even if he made himself untraceable like Sirius Black, it still would’ve looked odd if a so-called Head of the DMLE was sending unauthorised mail. This would seem a perfect wand in the works, except for one tiny fact that saves us. If Graves was sending letters at all while physically in pursuit of Grindelwald in Europe, he would have been giving away his location to the dark wizard! No self-respecting Auror would ever do that unless they were stupid! As we saw above, Owl Post is very unreliable in the sense that anyone can intercept the mail and trace a letter back to its sender. Ask yourself, if the Head of MACUSA’s Department of Magical Law Enforcement was tracking down one of the world’s most dangerous criminals, while in his domain, why the hell would he send ANYTHING that could be traced back to him and his location?! It seems a pretty dumb thing to do on all accounts. Also, Theseus is an expert Auror, he would have known if someone was trying to commit forgery. It’s part of his job. This means that trying to pass off a fake letter as official would not hold any merit. For reasons above, at this stage we can definitively rule out Europe as one of the locations for Graves’ and Theseus’ letter exchange. Even if we couldn’t have worked out whether it had been Graves or Grindelwald writing, it wouldn’t matter either way. This leaves us with the conclusion that the real Percival Graves MUST have been Theseus’ pen pal, working and writing in MACUSA’s headquarters at the time. They say the wand chooses the wizard, but who did this particular wand choose? In Fantastic Beasts and Where to Find Them, we see that Percival Graves brandishes a long, thin, black wand with a silver band and handle tip. is really Grindelwald, then who exactly is the real owner of this wand? The first thought that comes to mind is that the wand belonged to Grindelwald himself, but in the canon HP film timeline, Grindelwald’s official wand looked a lot different in design. As you can see, the dark wizard brandished a thorny, twisted piece of bark, that looked almost crude enough for one to believe that it had been stripped straight from a tree. If the filmmakers want to remain true to their movie canon, which they always do, then they would not have redesigned Grindelwald’s wand, especially not to such an extreme manner. On the surface it would seem possible, but in order to determine whether or not this is the case, let’s do an Olivander and take a look at the new wand itself. Looking at the stick’s design, shape and finish, it is highly believed that it carries American origin. In fact, given the wand’s signature silver inlay of mother-of-pearl, it was almost certainly created by Johannes Jonker, an American Wandmaker. He couldn’t have had the wand delivered to him in Europe if he needed to buy a new wand, because America have the strictest of laws over wand usage and purchase. He’d also again have needed a wand permit, which screws up the idea that he could have bought it while in America. 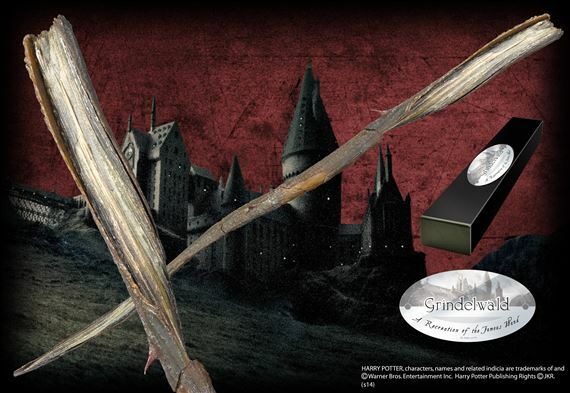 A Jonker wand would seem less suitable for Grindelwald, at least after you consider the other wandmakers’ products in comparison. For example, one better suited Wandmaker we know of is Violetta Beauvais, a New Orlean witch whose wands consisted of swamp mayhaw wood and rougarou hair core. This peculiar combination consistently produced powerful wands with, wait for it, an affinity for Dark Magic. If Grindelwald had any desire to buy a new wand, it would surely make a lot more sense for him to have been linked with one of Beauvais’ wands, as he had mastered the Dark Arts before he had even come of age. 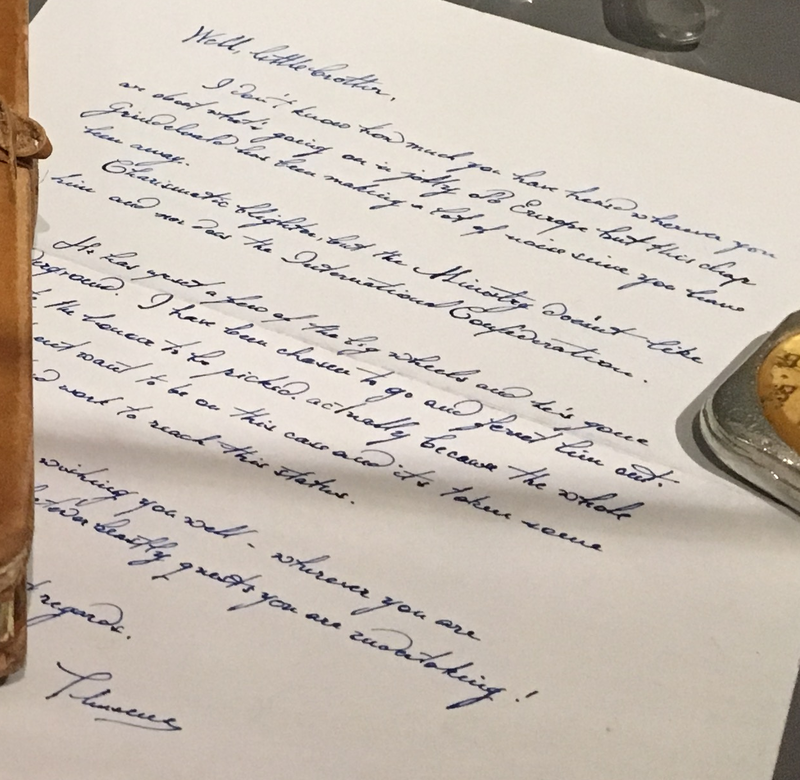 As if that wasn’t enough to prove a Jonker wand wouldn’t suit, there is even ANOTHER wandmaker whose products would’ve been more appropriate for Grindelwald’s needs – Shikoba Wolfe. Shikoba Wolfe was a Native American witch or wizard who created wands from Thunderbird tail feathers. A Shikoba Wolfe wand was renowned for being one of the most powerful brands available in America, albeit also the most difficult to master. However, the most interesting thing to note is that Wolfe wands carried a strong affinity for those who were skilled in the practice of transfiguration. As we have somewhat discussed already, and will continue to discuss soon, Grindelwald is highly skilled in this field, even using Human Transfiguration to achieve his disguise. Once again, why would Grindelwald be paired up with a Jonker wand when even a Wolfe wand would seemingly suit his skills better? This is a very good point, and the answer comes down to wand allegiance. As you guys may remember from Harry Potter and the Deathly Hallows, there are three ways that a wand will give its allegiance to a potential master: by it being purchased as a ‘virgin wand’, by it being inherited from an ancestor (for example, Isolt Sayre could use Salazar Slytherin’s wand efficiently) or finally by it being won from its previous owner. Bringing Grindelwald’s case to the table, along with all the facts we have gathered so far, we can certainly rule out that the Jonker wand’s allegiance was won via purchase or inheritance, as the Scandinavian scoundrel was neither a descendant of the existing Graves family (whom presumably would have owned the wand, being American. That is if inheritance of a wand was even allowed in America, as again MACUSA were tighter than a mokeskin purse), nor could he have logically bought any kind of wand. The only logical explanation is that Grindelwald must be using a wand that he won from a real, existing, American wizard who had the necessary wand permit to go with it. At some point prior to his transfiguration, Grindelwald must have defeated said wizard, in order for the seemingly ill-fitting wand to bend to his will, allowing him to perform magic at a decent level while in disguise. And of course, there is only one wizard that he could have taken it from. Hmm, letters, documentation, wand, transfiguration, it’s all coming together…. It’s not just the actors who have provided us with some juicy evidence! 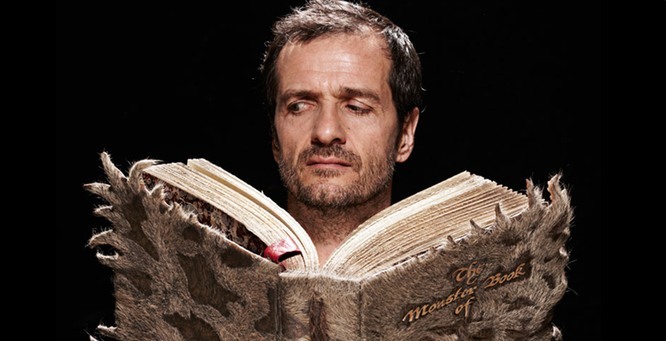 On 21st November 2016, three days after the release of Fantastic Beasts and Where to Find Them, David Heyman gave a short interview (see video below). During the interview, the Producer brought attention to, yup you guessed it, the mystery surrounding Percival Graves, in an attempt to try to smooth over any cracks that were left in the aftermath of the film. Well it wasn’t actually intended to smooth over the cracks, but rather fill them in once and for all. The first query directed at Heyman brought up the exact question we all wanted to hear: Is there a real Percival Graves? What Happened to him? Well there you have it guys, thanks so much for reading this blog, leave your thoughts in the comments and we will see you next time! EXACTLY voices from the veil, exactly. As we briefly touched upon earlier in our argument concerning official documentation, Gellert Grindelwald did NOT use Polyjuice Potion to transform, he instead used his skills as a Transfigurer. This was confirmed by none other than J.K. Rowling herself. On 20th December 2016, the Fantastic Beasts screenwriter and Harry Potter author announced a relaunch of her official website, which had been in dire need of an overhaul since 2007. To celebrate the refurbishment, Jo decided to create her own FAQ blog for her first piece of writing. The blog itself contained a series of HP and Fantastic Beasts-related questions that fans had been begging for her to answer for a long time. Of course, this creates a clash of ideals, as we are given two different explanations by the film’s Producer and the film’s Screenwriter and we don’t know who is telling the truth. However, as we have already made the point that Grindelwald used Transfiguration previously in this article, you can tell that Jo’s explanation comes out victorious for the canon, as she wrote the script herself. She is in charge of the story just as much as she was when writing the Harry Potter series. Sorry David. Why do the pair have this mix up? We at Leaky have a sort of theory. 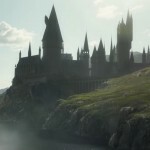 It is ‘possible’ that prior to her answering the question on her website, Rowling had originally intended for Grindelwald to use Polyjuice Potion, something that she may well have mentioned to David Heyman at the time. However, after careful consideration of the canon, Jo may have realised that Polyjuice Potion would not have reacted to the Revelio Charm (as pointed out by fans), so instead she could have come up with the alternative, final claim that he used Transfiguration in order to keep the movie free from plot holes. Since it was a last minute decision, she may not have gotten the chance to update Heyman on the change, thus two different claims were born. Also, if one thinks about it, the use of Transfiguration as opposed to Polyjuice Potion would have also been a lot more practical for Grindelwald. 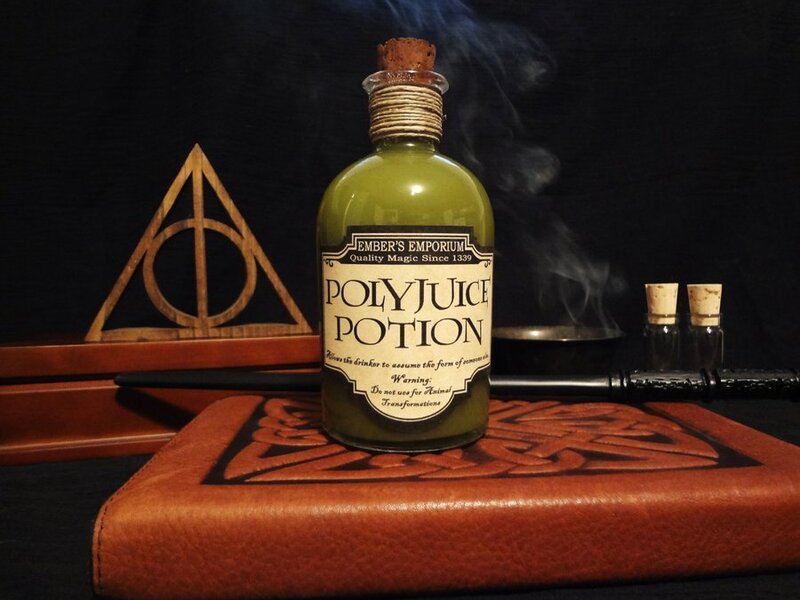 Polyjuice Potion takes a month to brew to a reliable level, a month that Grindelwald did not have spare. Dumbledore’s old friend would have needed a quick fix to get the job done there and then. BUT it doesn’t discredit the evidence entirely. Heyman is the Producer of the series, he works closer to Jo Rowling than anybody. Ironically you could say he is the Percival Graves to her Seraphina Picquery. 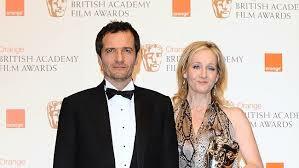 In short, if anyone other than Rowling knows the series’ overview, you can bet your last sickle it is David Heyman. Ok, so he made one small mistake that can be put down to miscommunication between the pair, but the rest of his claim was more solid than an Erumpent’s rump as there have been no further inconsistencies. The way she uses “to take on the appearance of Percival Graves” makes it sound as though he is a living, existing being. She could have easily wrote “to hide under the persona of Percival Graves” or “to become his alter ego Percival Graves” but no, she specifically uses the words “to take on the appearance of Percival Graves”. By stating this in the sentence, using Percival’s name, she gives him characterisation, in such a way that it comes across as if she is purposefully trying to insinuate that he took a real man’s identity. After all, he takes on an ‘appearance’. To do that, there has to be someone with an appearance to copy. You see? Just when you thought we’d debunked a section of our blog, we only bloody well bring it back from the dead, then on top we manage to ADD an extra piece of evidence! We will let you clean your blown mind from the walls for a minute before we move on. All done? Excellent. Now, it seems as though we are just about ready to wrap everything up for our conclusion! So let’s get going! There are just way too many aspects that go in favour of his existence to deny it. Half of the things that we discovered throughout the investigation would have been simply impossible for Grindelwald to have achieved, without at least having s real, living, breathing man to impersonate. It would just be a heck of a lot easier for him, and it is the only conclusion that keeps Fantastic Beasts away from plot holes and in the canon. The only other way that his existence could be proved is if J.K. Rowling herself confirmed it explicitly. So there you have it folks! But wait a second…there is still one last thing that needs answering. Oh boy, just when you thought your job was done. Even though we can finally determine that Graves was real, the question of his whereabouts still remains. 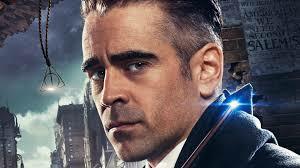 After all, there couldn’t just be two Percival Graves wandering around the wizarding world. Is Graves dead or alive? Has he been kidnapped? Will he return in the sequels? Although we cannot confirm anything until more information about the sequels arrives, the most likely conclusion is that Percival Graves is dead. Will we see Graves in the future? It is similar to what happened with Crouch and Moody in the fourth book? I guess Colin Farrell won’t be back in the sequel? There’s no plans to bring Colin back for the sequel. If we put this into context, this means that at the very least, Percival Graves will not be coming back in neither Fantastic Beasts 2 nor 3, as J.K. Rowling has finished the second script and is rounding off the third currently. Unless Jo does somehow find a need to bring his character back in films 4 or 5, and Farrell agrees to return, the chances of Graves being alive at this stage seem slim and unnecessary to the progression of the plot. It may be safe to assume he is a dead man. We have already been given two major clues within the series. The first, once again, lies with David Heyman’s interview. As you have read extensively by now, Heyman claimed that someone (who we can presume is Grindelwald) kidnapped Percival and assumed his identity (minus the Polyjuice claim). He also added that his kidnap was similar to that of Mad-Eye Moody’s in Harry Potter and the Goblet of Fire, where Death Eater Barty Crouch Jr. cornered and kidnapped Moody, before assuming his identity to interfere with the 1995 Triwizard Tournament. Putting this into comparison with Grindelwald and Graves, one can assume that the former must have somehow lured the Auror into a trap, before killing him. This would veer away from the similarity of Moody’s kidnap slightly, as he was needed alive in order for Crouch to use his hair for Polyjuice Potion, yet the theme of concealment remains identical . As Grindelwald alternatively used Transfiguration for his disguise, keeping Percival Graves alive would just be impractical, as the dark wizard would have needed to have kept no witnesses as he progressesd on his travels. 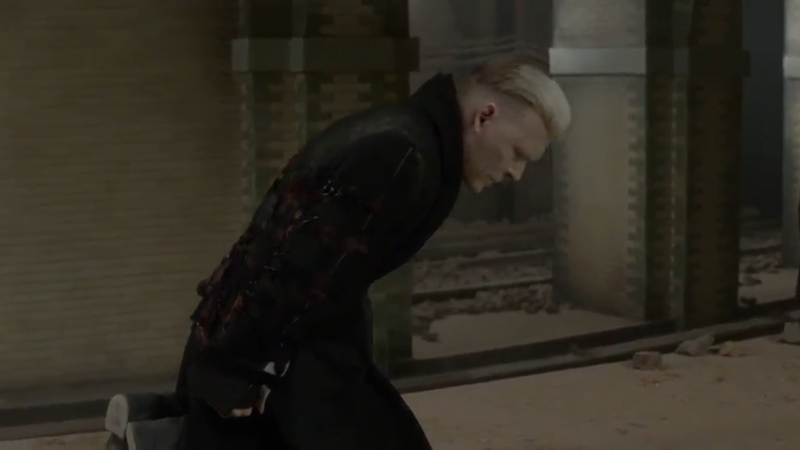 After killing Graves, Grindelwald must have transfigured into his victim, even gaining access to the deceased Auror’s wand, wand permit and MACUSA ID to add merit to the disguise. Exactly HOW did Grindelwald manage to lure and kill Percival Graves? The answer is easy enough to work out, unless your parents were Crabbe and Goyle (and that’s something we will leave for the fanfic writers). Given the fact that Grindelwald remained in Europe up until he assumed the identity of MACUSA’s finest gentleman, it is safe to assume that the real Mr. Graves was also in Europe tracking him down, thus he was lured easily. Given what we know about Percival’s letters to Theseus Scamander, as well a the fact that Graves was captured in a manner similar to Alastor Moody, it would be plausible to assume that Graves had either gone undercover or had taken his Aurors to corner and arrest Grindelwald in Europe, possibly after having received a lead as to his whereabouts. Don’t believe me? What if I told you that..this scene may well have been in the movie itself? Cast your minds way back to the very first scene of Fantastic Beasts and Where to Find Them. The story began at a dark, eerie looking chateau, around which a large group of five Aurors convened. As the camera panned to them, we suddenly saw a brilliant flash of white light knock the Wizards to their deaths, which was then followed by a reveal of the spell’s caster: Grindelwald. This particular scene from the movie has never yet been explained, other than the fact that it shows Gellert’s level of tyranny at the time. It could be possible that the real Graves was leading that band of Aurors at the time of his death, as Grindelwald hadn’t yet altered his appearance (meaning he hadn’t met Percival up until that point) and it would conveniently place his death within the Fantastic Beasts timeline. 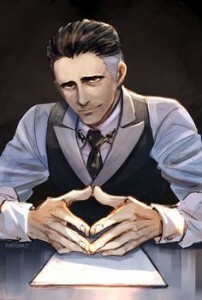 Graves was the Head of the DMLE, and would therefore have been the most senior male figure among the deceased, making him, in Grindelwald’s eyes, the most influential and powerful of all the victims, and thus the stronger option. Grindelwald was on the quest for two things: Obscurials and ‘The Greater Good’. Discovering that Graves was so high up in one of the wizarding governments that he so desperately wanted to overthrow would have been a very attractive opportunity. Having had his hideout discovered in Europe, Grindelwald would have seen Graves’ death as the perfect chance for him to continue ‘The Greater Good’ movement in a new region of the wizarding world, as well as it giving him the opportunity to farm one of the most Muggle-oppressed regions in the wizarding world for Obscurial children. This was most likely Gellert Grindelwald’s motive for coming to America from the start; A two-for-one bargain. And there you have it fellow Beasties. 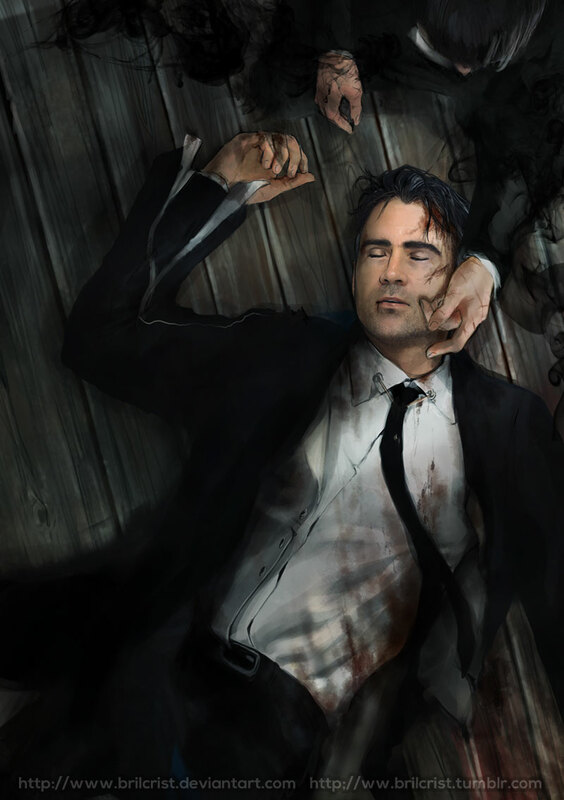 In terms of both canon and logic, Percival Graves must have been a living, breathing man who was cut down in the prime of his life and career by the cold-blooded tyranny if one Gellert Grindelwald.